2.1. 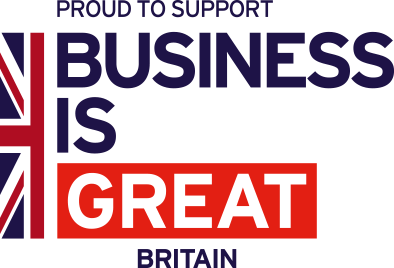 In order for you to access the content and services, and benefit from member offers provided through the Website (www.exporttojapan.co.uk), we may ask you to provide Personal Data such as your name, postcode, telephone, e-mail address and other information about your business. When you submit Personal Data to us, you understand and agree that this data will be used by Export to Japan and its Founding Partners to carry out its services. Export to Japan will take appropriate steps to ensure that Personal Data is protected from unauthorised use and kept in a secure manner either electronically or on manual records. 2.2. Your Data will not be transferred by Export to Japan, through Website to any of the Partners associated with Website, without your written permission. Export to Japan is provided by the Strategic Partners. The data controller are Business Link Japan and the Department for International Trade. A data controller determines how and why personal data is processed. 4.1. You do not have to register to use the Website, but you do need to register to access the premium content and services, receive updates about the site or access the offers from Partners. 4.2. As a minimum we require as mandatory for you to register us with: your username (which does not need to be your real name), a password, e-mail address, company name, company website, industry type, your first name, your surname, your job title, your postal address and postcode. This information is stored securely on our database so that you do not need to re-register when you come back to the site. 4.3. You can change your registration preferences, e-mail address and login details through the Website at any time. If you wish to amend your personal profile, please click on the ‘Login’ link at the top of the page, log in to your account, go to ‘My Account’ and ‘Edit Account Details’. 4.4. You will be able to register and deregister for email alerts via the site, or by logging into your account (as per the above). 5.1. You can send a message to Export to Japan using our Contact form. If you are asking for information we do not already publish on the site, we will deal with your query. In doing so we may need to contact other organisations to find answers to your questions. If your question is technical, we may need to pass it to our Website Developer. In such cases, we will only pass on Personal Data if it is necessary to do so, and we will not keep your Personal Data or records of our correspondence longer than necessary. 6.1. You have the right to access and correct the Personal Data retained by the Website. To do this, log into the Website using your username and password. From the menu, click ‘My Account’ and then ‘Edit Account Details’. 8.1. Any information you provide will be held securely and in accordance with the GDPR. 8.2. You have a right to request a copy of your personal details at any time to check the accuracy of the information held. If you want to ask whether Export to Japan holds any Personal Data relating to you, please write to us at: Export to Japan, Fuji Building 28, 2-7-26 Kita Aoyama. Minato-ku, Tokyo 107-0061 and/or Business Link Japan Ltd, Corby Enterprise Centre, Suite 34, London Road, Corby, Northants, NN17 5EU. 9.1. Personal Data supplied via the Website is held in accordance with the Export to Japan Information Charter. 10.1. When we provide services, we want to make them easy, useful and reliable. Where services are delivered on the internet, this sometimes involves placing small amounts of information on your device, for example, computer or mobile phone. These include small files known as cookies. They cannot be used to identify you personally. 10.6. You can manage these small files yourself and learn more about them through Internet browser cookies – what they are and how to manage them. 11.2. Google Analytics sets cookies to help us accurately estimate the number of visitors to the Website and volumes of usage. This ensures that the service is available when you want it and fast. 11.3. For further details on the cookies set by Google Analytics, please refer to the Google Code website. 11.5. The Website uses a variety of social media sites. You can find the details of their privacy and cookies policies on their own pages: Facebook, Twitter, YouTube, LinkedIn and RSS. 11.6. If you do not want a website to create a cookie on your computer, most web browsers provide the option to disable them. However, our Website may not work properly if you reject our cookies. We do not store any of your personal information in any of our cookies.